A sequel to the surprisingly endearing first Spongebob movie, this takes the TV show’s characters on land. The original cast is returning for the film, as well as Antonio Banderas as the villainous Burger-Beard the Pirate. 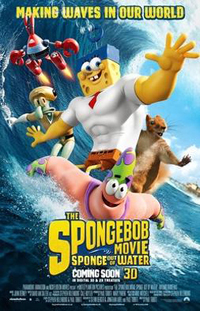 Directed by the first film’s writer and written by the duo behind Kung Fu Panda, all signs point to the second Spongebob film being as entertaining, smart, and family-friendly as the first.